There is no need to take time off your busy schedule, with our latest course calendar, you can choose a time and style that works for you. The online Security guard training course can be done anytime 24/7 in the convenience of your home. No schedule required. Need a more hands-on experience? The in-class Security guard training courses begin every Monday, every week so you can find the time that works for you. We are the fastest growing and recommended security guard training company in Ontario, with 16 years of experience in all aspects of the security industry. Free first aid / CPR certification $ 125.00 value, done by Red Cross certified instructors. 100% guarantee of passing the Ministry exam. All instructors have over 10+ years of experience. Total assistance to get your security guard license. We provide practice test and quizzes. Assistance in Hindi, Punjabi, Urdu. We have a 98% average with the Ministry of passing the security guard exam. 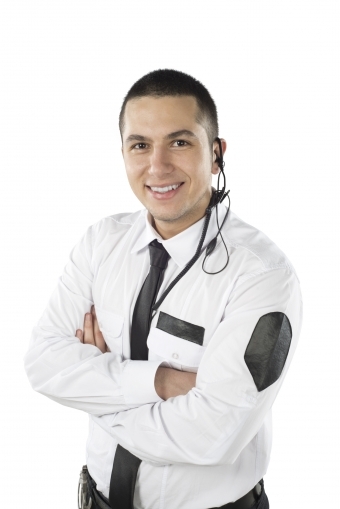 We have been providing security guard training courses for the past five years in Ontario and have become the leader in security guard training. The Security guard training course includes free first aid / cpr+ AED certification. This is a added value for you, as most security guard training companies do not disclose this information and you end up paying more than you have budgeted for. Every applicant must pass the government administered examination, must be at least 18 years of age, eligible to work in Canada and have a clean criminal record.